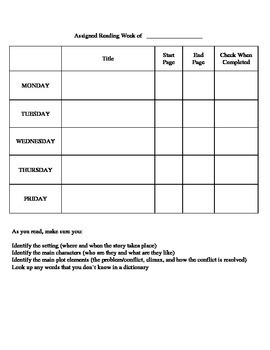 This is a weekly assigned reading sheet that can be inserted in a planner or posted in a convenient spot. It also serves as a reading log so that you can track titles and pages of books being read by each student. Visit my shop often because new items are added frequently!